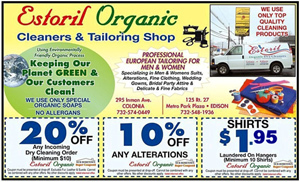 Edison NJ 08817 Coupons | Local Edison NJ Coupons | Coupons, Specials, Menus, Deals & Discounts For Local Businesses In The Edison New Jersey 08817 Area. "Keeping Our Planet GREEN And Our CUSTOMERS Clean! 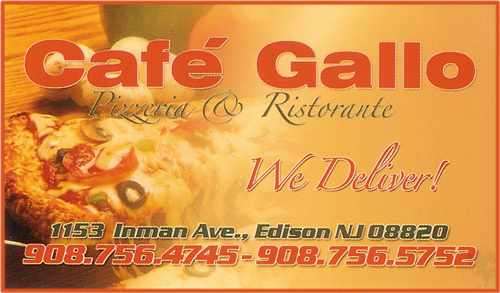 "Take Out...Dine In...Catering For Your Every Occasion"
1153 Inman Ave Edison, N.J.
Cafe Gallo's Home Page, Menus & Photos. Browse Our Local Town Pages & $ave Now!